There could be many reasons why you have arrived at our website. But the two main ones could be, You have been referred to us by one of the 12,000 customers we’ve successfully managed to service over the years or, we just “Grabbed You” with our “Fabulous” advertising campaign! Either way, we thank you for visiting! and WELCOME. 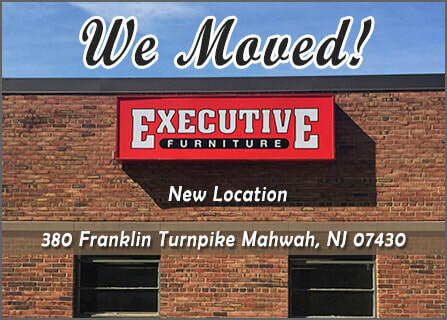 We are one of the oldest (and largest) “Full Service” office furniture dealerships in the TriState area. Our #1 “Claim to Fame” is in the office furniture manufacturers we select, and provide to our clients. We would like to make you aware that there are 1000’s of them out there? Presently we represent about 200 full time, and the numbers are still growing rapidly. We pick the right suppliers for you, we guide on choosing the “Right Look”, then we help you find it. Executive Furniture helps you Design your office space and we make sure your new office furniture is placed in the proper area. It’s your project, (but it’s our job to present you with the right manufacturer(s). The ones who will offer you the “Best Quality Product” at the best possible price. weather you want a “SIGNATURE NAME” brand or you are looking for “Quality” Furniture within a specific budget. We will help you find it. That’s what we do for a living, and we’ve done it right for a Long Time. We have pristine references. Feel free to ask. We have been in business for 40 Years in New Jersey! © EXECUTIVE FURNITURE 2018. ​ALL RIGHTS RESERVED.